Thank you for signing up. The access code to download the Handbook for Vital Statistics of NCAA Fencing Teams is on its way to you. Please check your Inbox. We will automatically send you Part 2 and Part 3 for Division 2 and Division 3 Colleges as soon as they are ready by the end of the year. Every parent with a fencer in high school wants to know if their kid has a shot at being an athlete recruit to an NCAA fencing program. We want to know if all those years of investment in training and competition will pay off with a smoother passage to college. The “wow” factor of a fencer ranked 3rd on the JNPL with a 4.5 GPA going to Harvard or Stanford leaves us all admiring and somewhat intimidated. What shot does our own kid have without these accomplishments? There are more than 1,300 fencers spread through the 46 colleges with NCAA sanctioned fencing teams. The academic spectrum is quite wide, so are the rankings and rating classifications of fencers on these college fencing teams. 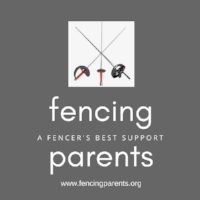 While not every fencer on a team is a “hard” recruit, many more apply to colleges Early Decision or even through the regular process and receive support from the college fencing coach with the admissions office. And yet, even more simply “walk-on” to a team after gaining admission on academic merit alone. Fencing Parents decided to do a “deep dive” into the composition of these NCAA fencing teams to try and get some clarity on what it takes to be an athlete recruit at each of these colleges, or if they recruit at all. The best way to do that is to look at who is already on the team. We have almost completed compiling all data on the 26 Division 1 schools, and we will be ready to release this information by Saturday, December 1, 2018. We expect to complete compilation of the data on Division 2 and Division 3 schools by year end. For the data to be directly comparable to where our kids stand currently, Fencing Parents researched US Fencing and AskFred archives to develop a profile of each college fencer during the most important fencing athlete recruitment periods through Junior year, and for many through the Fall of Senior year in high school. Thank you for signing up. 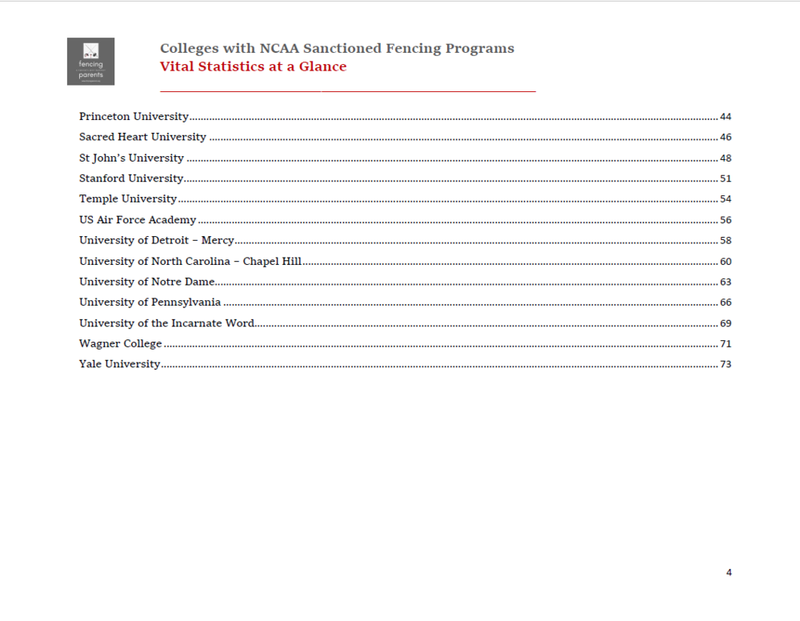 The access code to download the FP Handbook for Vital Statistics on NCAA Fencing Teams in on it’s way to you. Check your Inbox! Thank you for signing up. The access code for the FP Handbook for Vital Statistics on NCAA Fencing Teams is on its way to you. Check your Inbox for it.